What do the uprisings in the Middle East mean for the women who live there? Do women have equal access to social networking technology? Is meaningful progress being made on women’s issues globally? 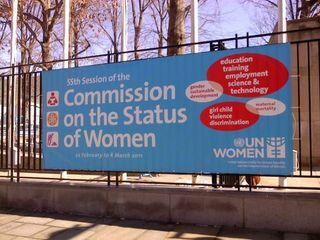 Saybrook Human Science PhD student Rebecca Norlander has been appointed a temporary delegate to the U.N. Commission on the Status of Women, which began this week. She blogged about the experience for the progressive political website BeyondChron. Rebecca’s concentrating her degree in Social Transformation, and is passionate about Human Rights Education. Leave thoughts in the comments section!